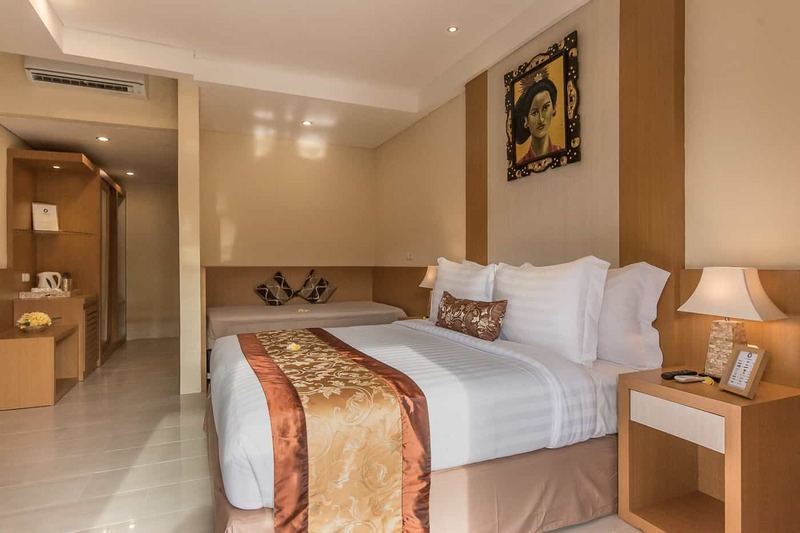 Standard Rooms offer only the necessities for no fuss affordable cozy accommodation, including a Queen Bed and basic standard amenities. 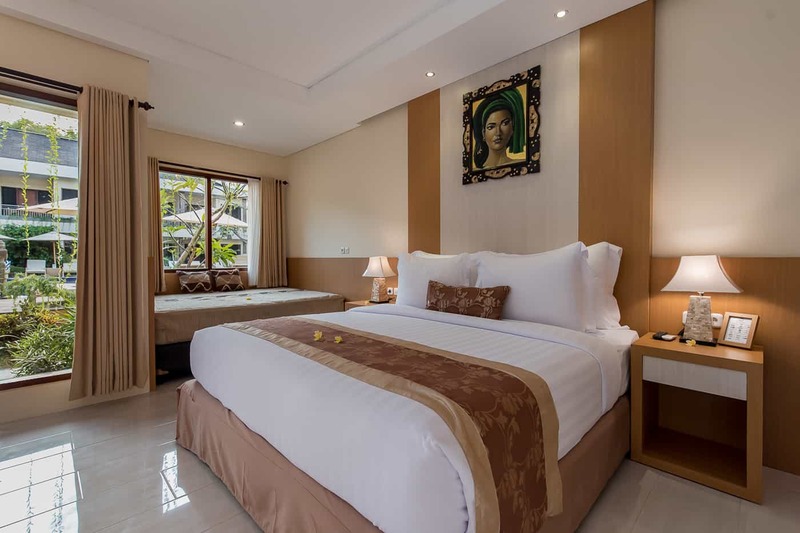 Superior Rooms are located on the top floor left, right and back wings of the hotel. 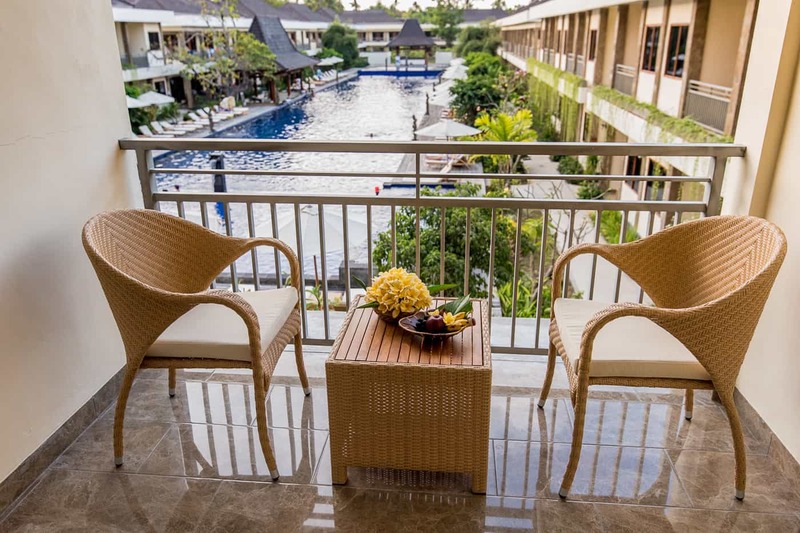 Each Superior Room offers a pool or garden view from a small balcony. Room Size: 37 sq. 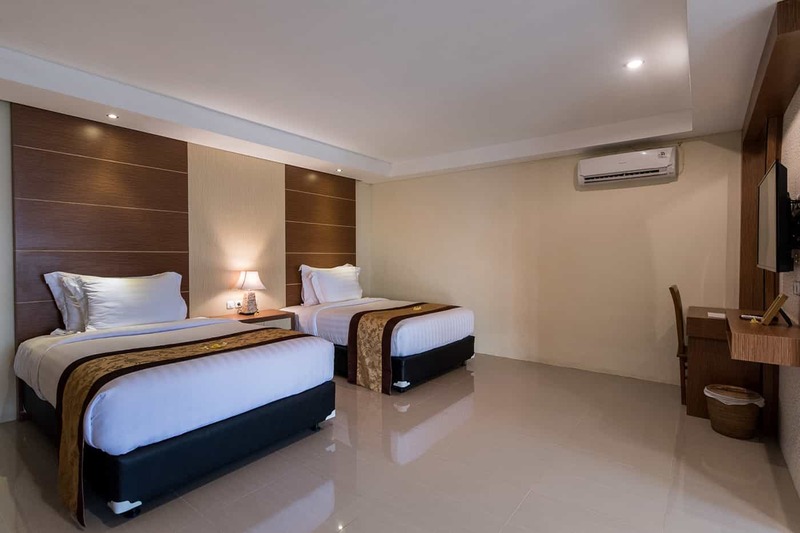 m.
Premier Rooms are located on the ground floor left, right and back wings of the hotel. 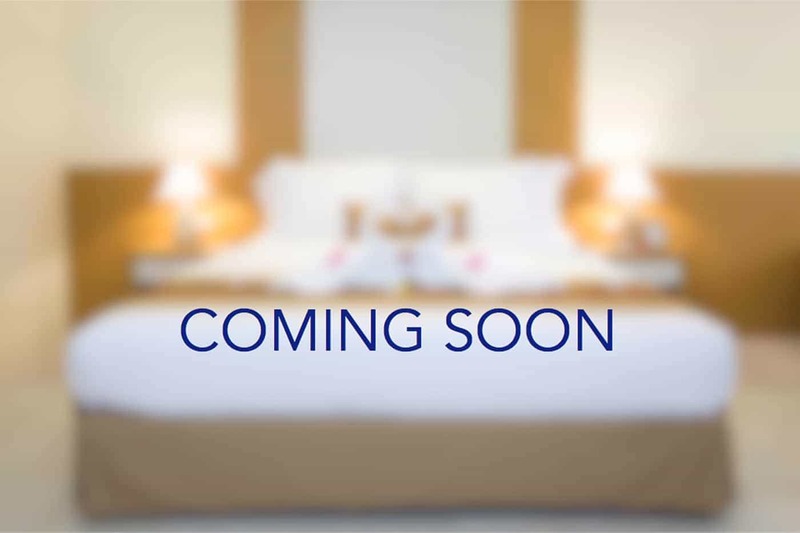 Premier Rooms offer a day bed for indoor lounging or as an extra bed. 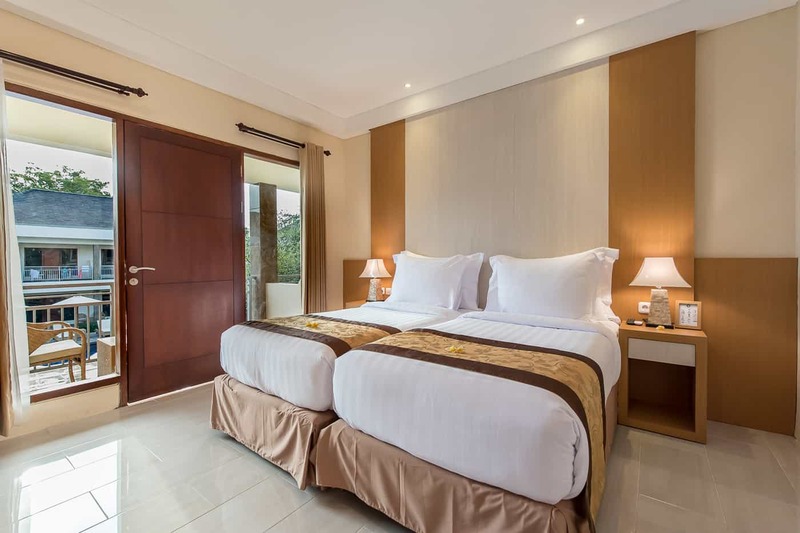 Deluxe Rooms are located in the left and right wings of the hotel. 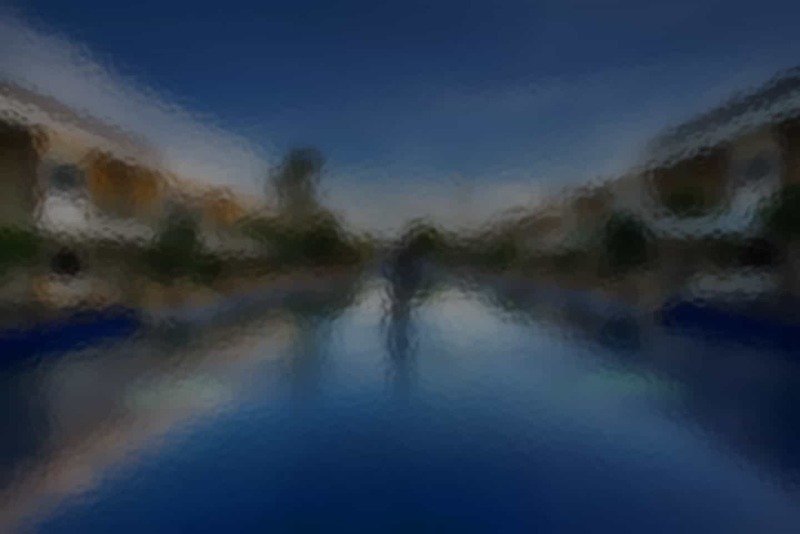 Each Deluxe Room boasts a pool view. 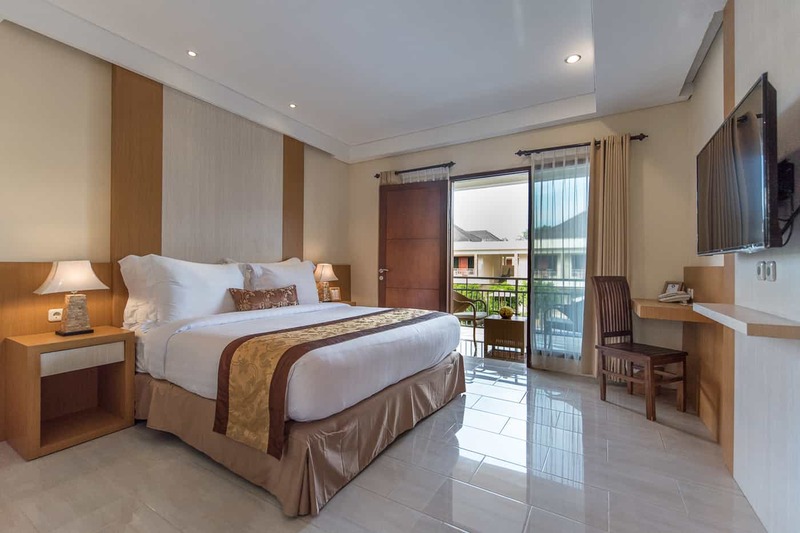 The Ground Floor Deluxe Rooms are located a step away from our main pool, and the Upper Floor Deluxe Rooms feature a pool view from a comfortable balcony. 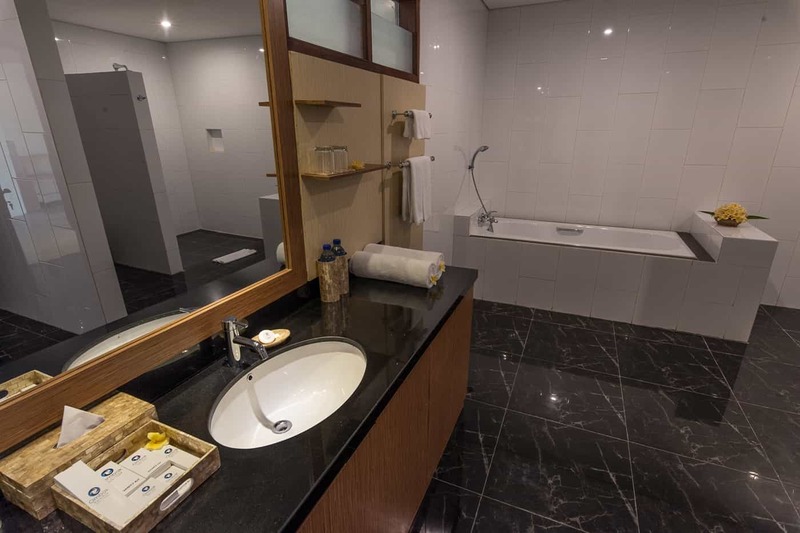 Each Deluxe Room comes with a spacious bathroom with full amenities and bathtub. Room Size: 29 sq. 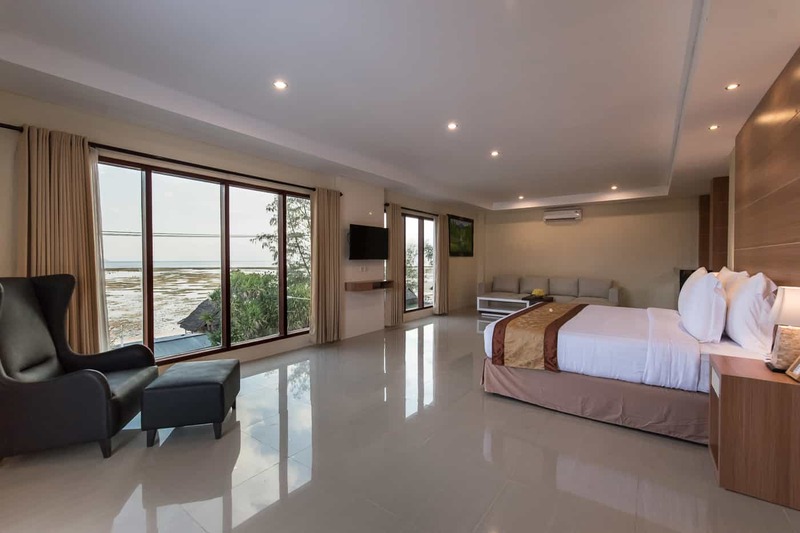 m.
Sea View Rooms are located in the main building with a direct view of the Lombok Strait and rolling hills of Lombok mainland. Each room has a small balcony, with a seating area. 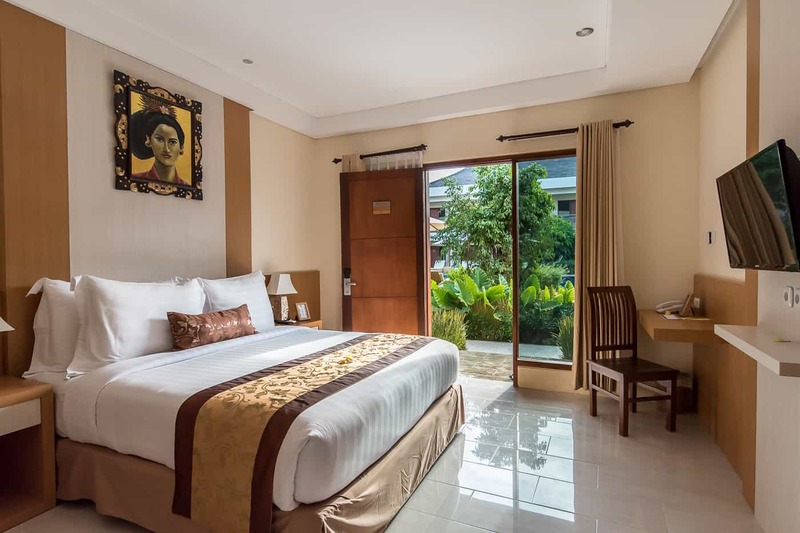 These rooms come with full amenities, a King Sized bed, day bed that can be converted into a comfortable bed for 2 children as well as evening turn down service. 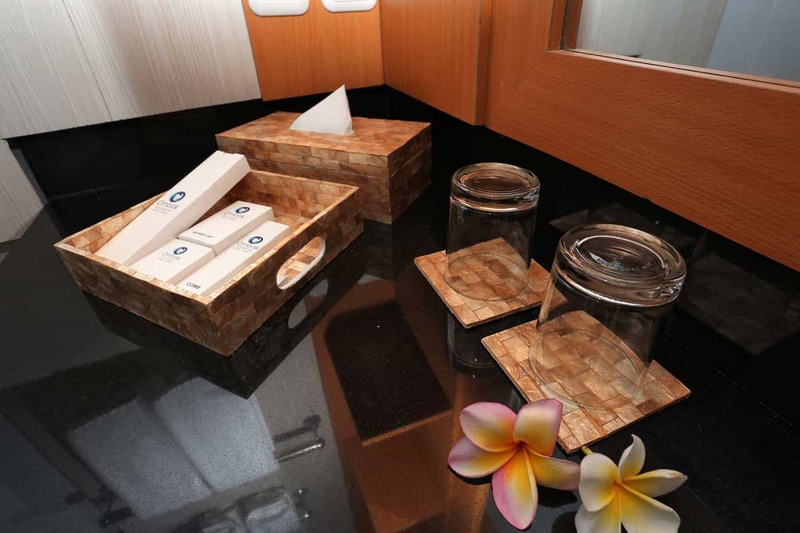 Our Suites offer guests a luxury option within a 3 star setting. 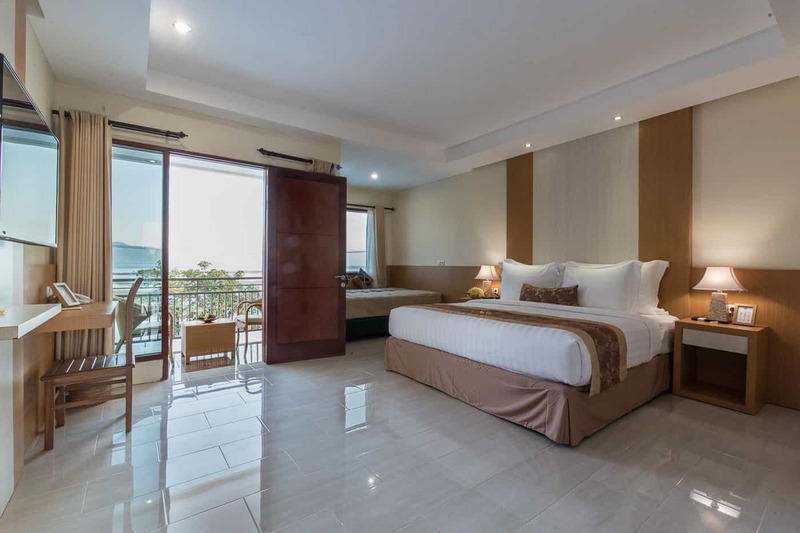 Each Suite is unique in it’s bedding and configuration (King or Double Twin), but each is features sea views and equipped with a in-room maxi-bar & kitchenette, indoor lounging area, full amenities, shower and bathtub. Room Size: 70 sq. m.